Review Portals are they truly beneficial? There are pitfalls. Review Portals: Are They Truly Beneficial? 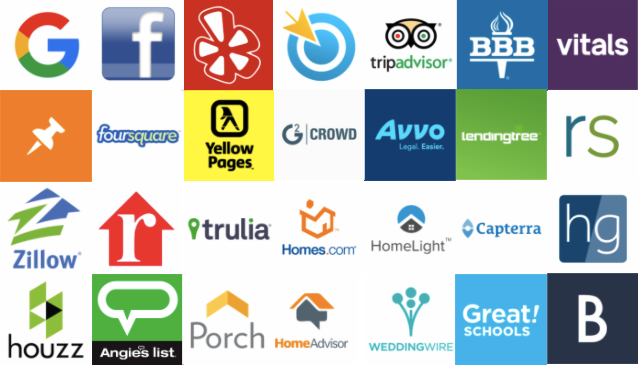 Yelp, Zillow and Angie’s List – all of these are well-known review portals which people tend to consider a gold mine for their marketing. And, up to a certain extent – it does make sense, right? You get to post your business there and enjoy all the perks of their multi-million user traffic. There are great localization features, and, let’s not forget the main perk – the ability of the customer to leave a review. There’s no better marketing than the positive feedback, right? While that’s absolutely true, whether or not those review portals provide you with this opportunity is a completely different question. You need to take a step back and seriously consider whether or not you want your content published on major players such as the ones that we’ve mentioned above. While they truly do bring a lot of online traffic which could potentially convert, the risks are also tremendous. Here are a few things to consider prior to taking a major leap forward of the kind. Now, websites of the kind do not allow the business owner to control the flow of reviews. That’s the main selling point that they bring on the table: you get the opinion of the user without any chance of interfering but with your own customer service. It sounds good, in theory, right? The reality, however, is completely different. While these websites tend to have proprietary algorithms and other methodologies which sort out fake feedback, oftentimes that’s not the case. Fake feedback remains the most serious threat when it comes to portal reviews because it can’t be validated. While these websites need to monetize, the majority of their policies are completely out of synch with the interests of the actual business owners. Let’s take Yelp.com, for instance. You can pay for an ad which would appear on the panel of your competitor. How appropriate is that? And since you can do it – he can do it too. Basically it’s a matter of ad spending budgets which destroys the entire concept. Big market review portal players such as the websites that we listed above and a few others bend hands. It’s as simple as that. No matter how much they claim otherwise – you don’t matter to them. Their customer acquisition is so natural and consistent that they wouldn’t care about the individual case. Therefore, there is absolutely no room for negotiation when it comes to it. IF someone wants to post a fake review, there’s virtually nothing stopping them if worded correctly and it appears to be an actual one. Sure, the owner gets to reply but the harm is out there. So, before you consider your entire review management strategy around these major players in the portal review field, consider centering your review management around your website and social profiles. Control your content, create and grow local audiences and create social proof in your own right. Break free of the crowded and expensive review portals and take control of your own referral pipeline. eEndorsements is a complete review management software. Capture more client reviews stream to your website, create social engagement that promotes positive word of mouth while incrementally inviting your clients to post to relevant review portals.